The verdict is in. Golfers of all levels of ability have given the thumbs up to Derrydale’s unique 12-hole design. 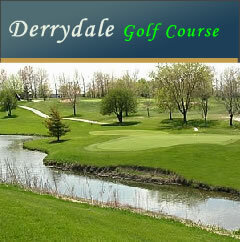 In 2010, Derrydale became the first golf course west of Toronto to offer the public a 12-hole round of golf, just as golf was first played when founded in Scotland more than 200 years ago. The quote posted above by legendary Jack Nicklaus is slowly coming true throughout North America with Derrydale’s executive layout being the pioneering 12-hole golf course in the GTA. Whether you are a novice player or an experienced golfer, the mature par 40 design with water on eight holes, 26 sand bunkers and plenty of maples, pines and weeping willows is a challenge that enables you to play every club in your bag. At Derrydale, you get more golf for less money. Enjoy!